A good base for makeup is by finding right shade of foundation. After lot of researching I was lucky enough to find the right shade for my skin tone. This foundation comes in 9 different shades. I swatched more of medium shades and it got more of yellow undertones which is suitable of asian olive toned skin. It’s a compact, convenient, plastic squeeze tube which is great. I have complete control over how much foundation I want to use. 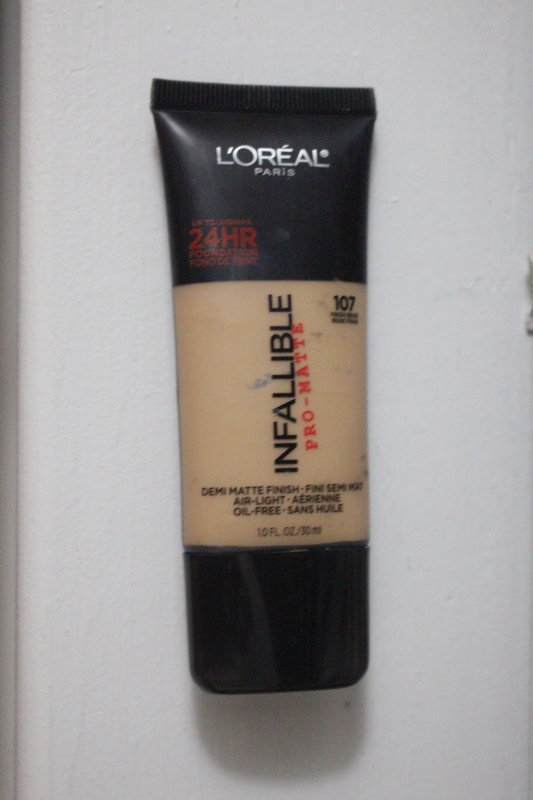 The only drawback I found with the packaging is the front panel where the shade (supposedly) shows — as I looked at all the shades on the L’oreal display, I couldn’t really tell a difference between the different shades just by looking at the front panel — they all looked very similar. So if you’re lucky enough to get some testers, use them to get a sense of color because just by looking at the front panel, you won’t get an accurate indication of what you might go home with. I am in the shade 107 Fresh Beige.A pea-size amount gives me the right amount of medium coverage. A little goes a long way with this product. I blend it in with my buffing brush and I’m left with a demi-matte finish that evens out my skin tone. Does not feel heavy whatsoever which is amazing for a foundation that actually gives a good amount of coverage without too much product. I’ve tried using more to build up the coverage and yes, you can get fuller coverage, but you might risk the start of looking a bit cakey. I’ve tried this with my L’oreal base magique primer and I find they work wonderfully together to give me a bit of a more luminous finish. This definitely one of my favorite medium to fuller coverage foundation and it is amazing drugstore foundation I came across. 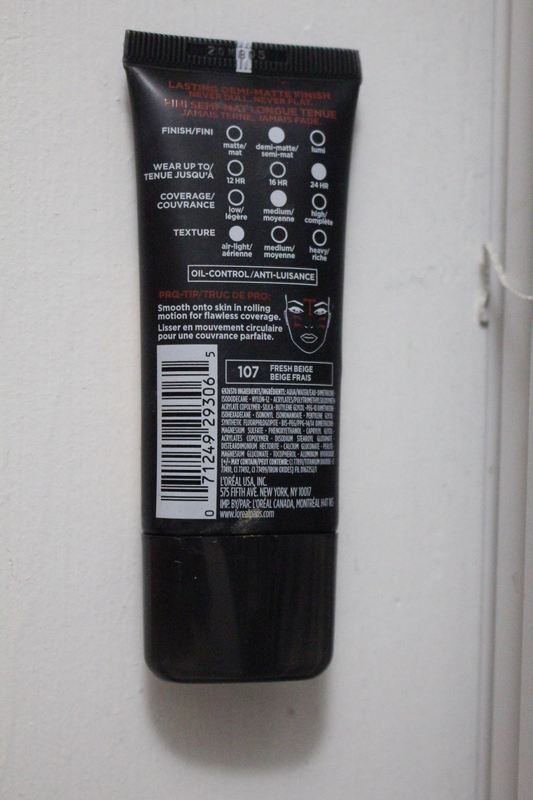 I would most likely repurchase this product.